The Helicopter of Christ Ministries was a strange name back then but such names have now become common. A few weeks ago we say the Laboratory Church Ministries now its another new even strangest one. 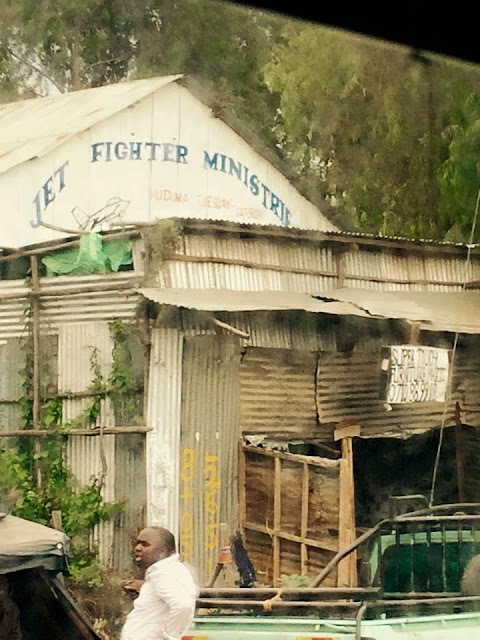 We officially introduce to you the Jet Fighter Ministries, a church in Embakasi, Nairobi.